New Haven Police Chief Anthony Campbell announced Friday that he will retire from the department. 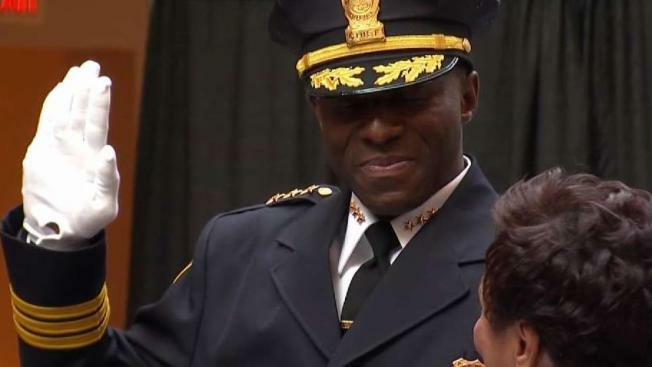 New Haven Mayor Toni Harp has named Assistant Chief Otoniel Reyes as interim police chief to replace former Chief Anthony Campbell, who announced his plans to retire last month. Campbell was selected as New Haven’s police chief in 2017 after serving as the interim chief when former Police Chief Dean Esserman resigned. Reyes has been with the department since January 2000 and over the years has served in the patrol division, the detective bureau as a detective sergeant in the special victims unit, the major crimes unit and homicide unit, a district commander for the Hill South District, officer in charge of the Investigative Services Division, and most recently assistance chief of operations for the department.